Table Talk: What's up with Online Grocery? What's up with Online Grocery? in the $1 Trillion food retail industry. This model uses large, centrally located warehouses to effectively and efficiently ship out large quantities of orders for groceries before fulfilling online orders. While requiring scale, it offers perhaps the best solution to the 'last mile' problem of delivering fresh produce and products and is used by the online grocery giants Peapod, Fresh Direct, and Amazon Fresh. Adv - You can stay at home and simply wait for the groceries to arrive at your doorstep. Disadv - Most companies have a minimum order size and a grocery delivery fee to boot. Adv - Being able to leverage the scale of their warehouses and their vast infrastructure. Disadv - Having to deal with the logistics of delivery freshness with massive overhead costs. A number of stores, including ones that use the warehouse model to delivery fresh produce, offer grocery pickup. Users can order their groceries online and opt to have their groceries pre-packaged and waiting for pickup at the store. Adv - No minimum order, no huge delivery fee. Adv - No need to deal with delivery logistics keeping overhead lower plus can use existing stores as pickup locations (Harris Teeter and Publix). This model is implemented by companies that have workers/pickers go out and shop for groceries, handling the delivery logistics part without having to handle the supply of the groceries. 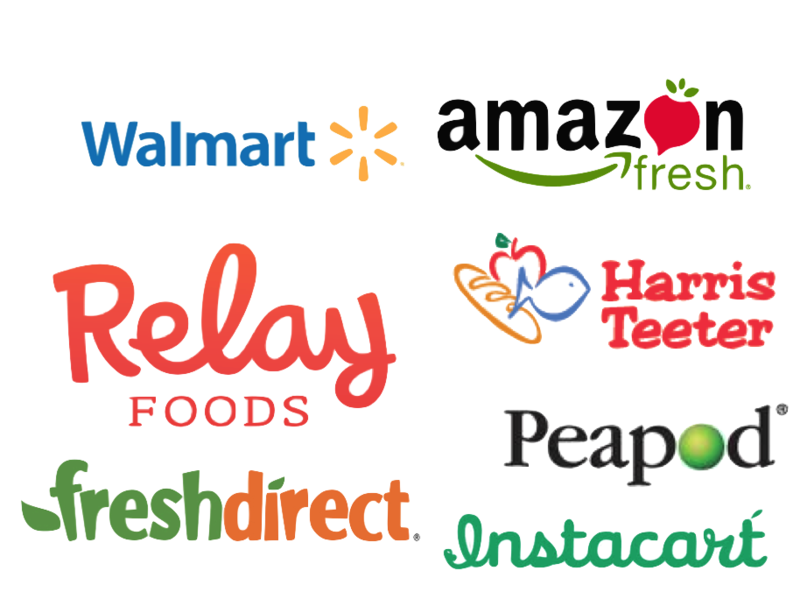 They have a list of stores from which the users can choose to get groceries delivered from in any given city. The most notable company using this model is Instacart.